Drawing on the philosophical contemplation of the inherent mystery and ultimate inevitability of death, Geoffrey H. Short’s work, epic in production, brings together the aesthetics of terror and excitement, illusion and allusion. 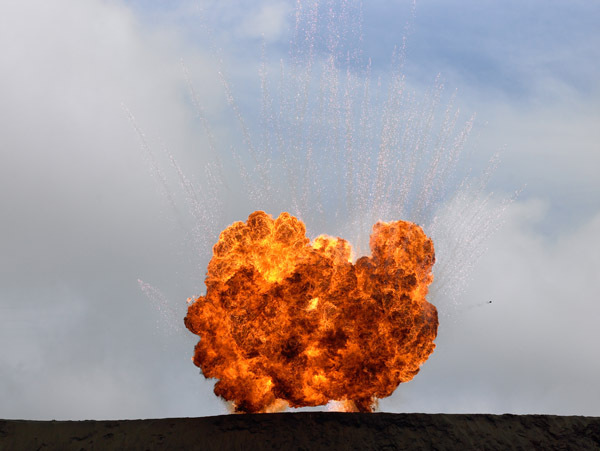 Using film industry special effect technicians, “big bangs” were created on the black sands of New Zealand’s West Coast. 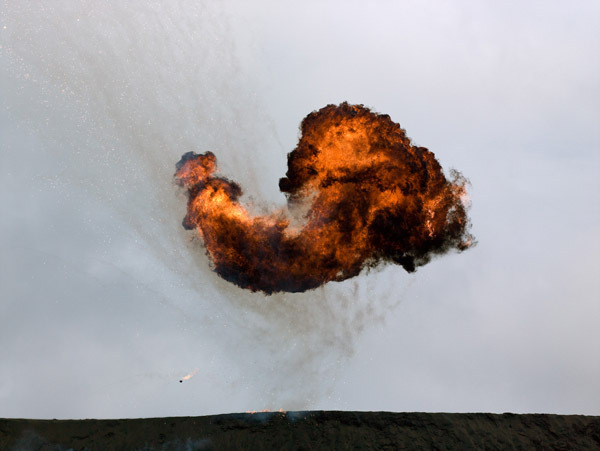 The fuel explosion is part of the cinematic vocabulary of special effects and as such is a simulation of an unnatural terror. 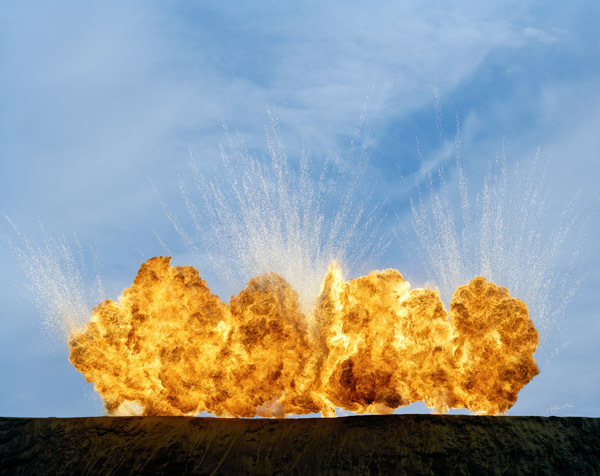 The explosion of fossil fuel (with all its geo-political associations) mixed with gunpowder (with its own history of war, plots and dangerous entertainment) makes for an unpredictable, dramatic and multi-layered imaging material. Short’s work is an interrogation of that material and an investigation into the differences between the live experience of an explosion and the two dimensional representation of it as an aesthetic object. The illusion of reality is reinforced by the fine detail and the large scale of the photographs, while the images allude to every explosion from the original big bang of creation to the anxiously anticipated big bang of a terrorist bomb or nuclear disaster.